Tag Archive | "horror anthology"
Our gaze into the shadows of Halloween past continues today with the one-year celebration of our first anthology! 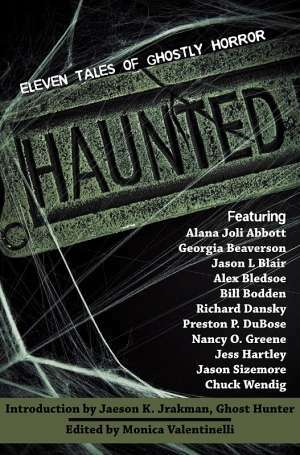 Not only has Haunted: 11 Tales of Ghostly Horror been well-received by the community, earning a special mention in Ellen Datlow’s Year of Best Horror, but our debut collection also won a Reader’s Choice award. Your can read a round-up of reviews and our award announcement here on the site, by the way. People often say that there are no such things as monsters. They are wrong. 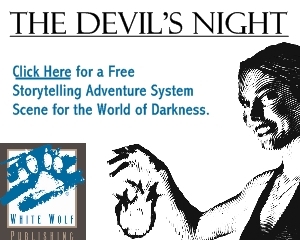 Vampires, werewolves, ghosts, and other un-namable horrors co-exist with us. Watching us. Using us. Preying upon us. 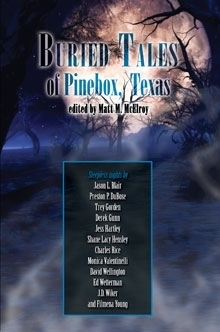 In Buried Tales of Pinebox, Texas, a dozen horror authors and game designers have gotten together to write tales set in Pinebox, Texas. This sleepy little East Texas town definitely has a lot more going on than the occasional bar fight. The e-book version of Buried Tales of Pinebox, Texas is available now at DriveThruHorror.com and the paperback version is available through Amazon.com. 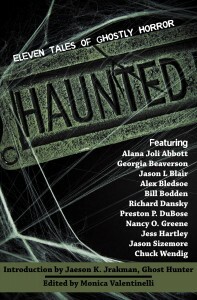 FlamesRising.com is pleased to present a preview of a few stories in this horror anthology.